There is something different about the backroads in Barbera land, both in size and purpose. Driving through Monferrato you get the sense that the land is the purpose. The alps stoically protecting Barbera in the background, while the sun and breeze dance delicately over the hills and valleys of the lush green landscape. The purpose of the roads lies in the land. The land holds the stories, the treasures and the flavors which with every breath, taste and touch, the land begins to tell it’s story again. And in each season or year the story changes, because nothing truly remains the same, except the heritage and respect for the land. After arriving at the restaurant, which was carefully perched up on a hill, I was able to see valley after valley and hill after hill. The patchwork of lush green and diverse earth tones laid out upon the hills and valleys has no pattern or sequence, but the meaning behind them is undeniable. In these small towns you can see what is important to them by what they put in the ground. There are various flowering and fruit giving trees placed sporadically throughout the landscape but the majority of them are the beginnings of the the grapevines starting to form, as well as wheat. Through all this there is the unmistakable smell and sounds of cows, goats and sheep, reminding us of the crucial role they play in the delicate and important “eco-system” of these towns. Before going to eat I took a walk around the property admiring Barbera landscape and breathing in the fresh air, as if I had never tasted the purity of the countryside, which is something you truly begin to treasure living the city life. The hills carried on forever, only briefly interrupted by the villages and the unmistakable church bell towers that tower over each one. 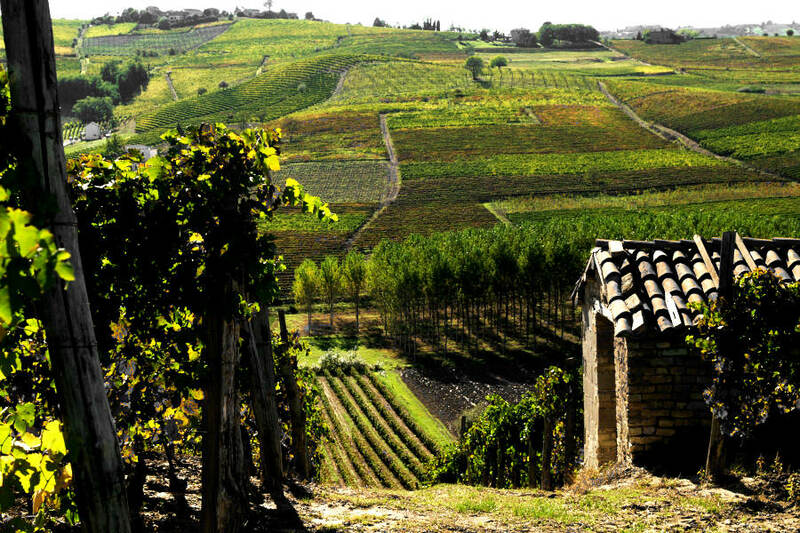 Each one has a name, each one has a story, each one plays a part in making the Piedmont and the land of Barbera d’Asti one of the most beautiful and peaceful places to visit. The day was capped off by a delightfully simple yet superb lunch. With rotating plates of antipasti (appetizers), primi (first plates, typically pasta or rice) and secondi (typically a protein with a vegetable) together with a perfectly balanced Barbera d’Asti and a wedding reception going on in the background, the day truly seemed perfect. But in the Piedmont, it’s just a Sunday in spring. The tone of that sentence should not diminish the beauty, but instead magnify it. Because here, beauty is everyday. Rain or shine. Snow or ice. The land needs it. So if the land does, so do we. And when the land gets what it needs, we see the fruits of its labor, and oh the beauty of enjoying the fruits of the land.